Drum Stereo Mixer completes the drum mix and has configurable stereo inputs to receive signals from stereo FX modules and stereo output to interface the modular system with external devices. LEDs next to each input give visual feedback on a signal level. 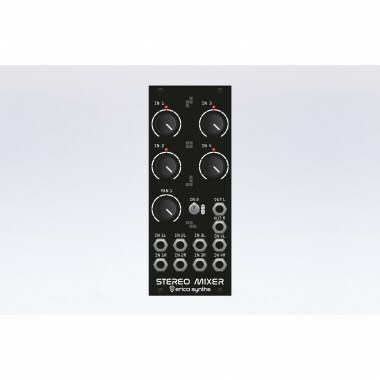 Eurorack модули Erica Synths Drum Stereo Mixer Вы можете купить по выгодной цене в наших музыкальных магазинах в Москве и Санкт-Петербурге, интернет-магазин, доставка по России.